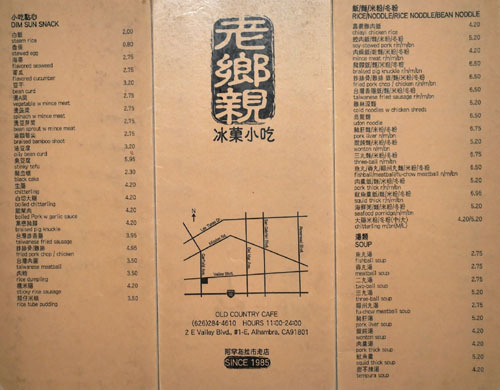 After our meal at Shi Hai was unexpectedly cut short by the kitchen closing, we moseyed on over next door to Old Country Cafe, a longstanding Taiwanese eatery that's apparently occupied this same location since debuting back in 1985 (there's also an outpost in Temple City). 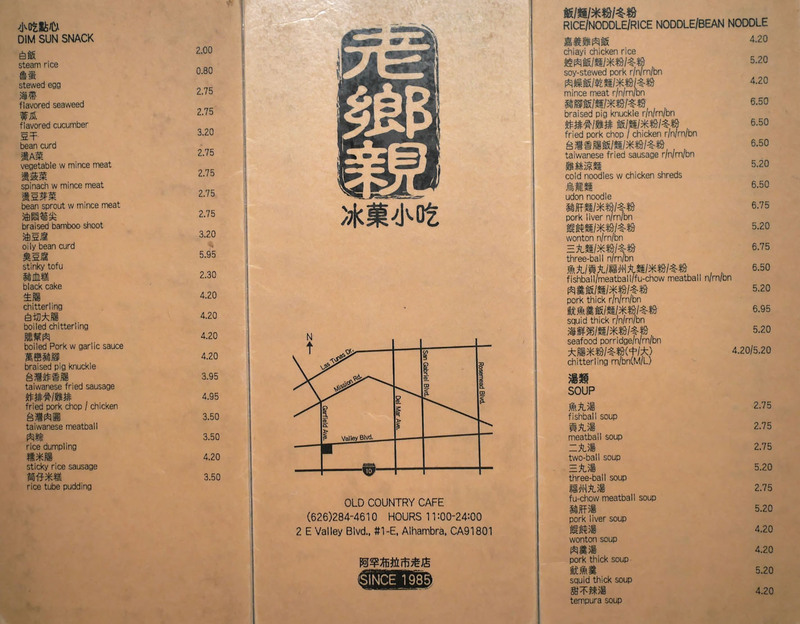 The menu at Old Country comprises a selection of your typical Taiwanese favorites, including a "dim sun snack" section that's more street food-focused. 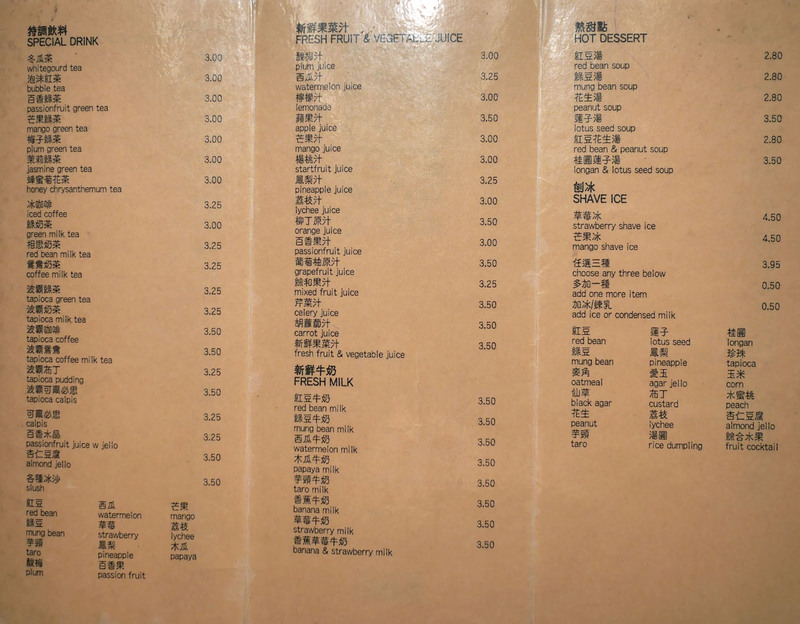 There's also a long list of tea and juices, as well as desserts and shaved ice. Click for larger versions. 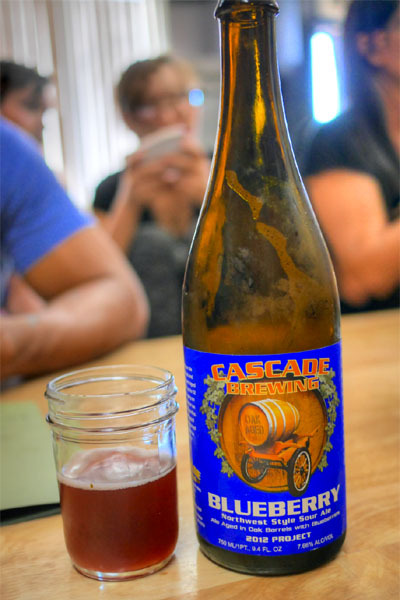 We popped a few bottles left over from Shi Hai, starting with the 2012 Cascade Blueberry Ale, a sour wheat/blonde aged for a year in oak and three months with fresh blueberries. It drank expectedly tart, with notes of berry fruit intermingled with a musty, funky, oaky character. Pretty refreshing. Naturally, we had to start with Old Country's signature pork chop rice. Presented thin and delightfully crisp, the bone-in chop was spot on, still juicy and loaded with a straightforward porky goodness accented by just enough peppery spice. 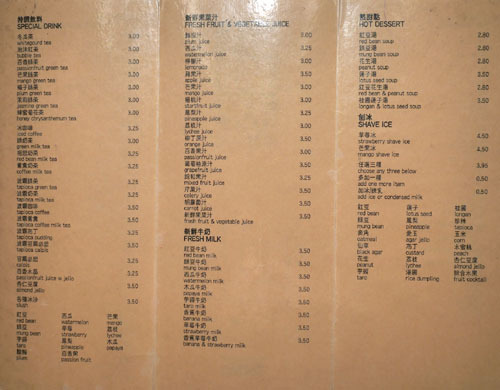 Accompaniments were much appreciated as well, and included an excellent half soy egg, rice with minced meat, steamed cabbage, mustard greens, and suan cai. Very possibly the best version of pai gu fan I've had. 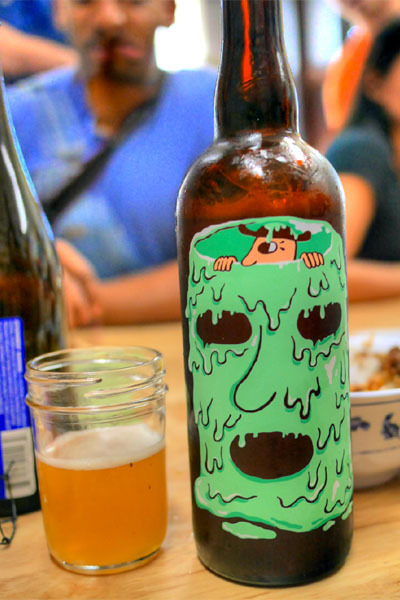 Next to drink was the 2014 Mikkeller Invasion Farmhouse IPA, a Brettanomyces-infused IPA created in collaboration with Anchorage Brewing. It was a tasty beer, with its barnyard-y funk well presented against a citric, bitter, hoppy backdrop. 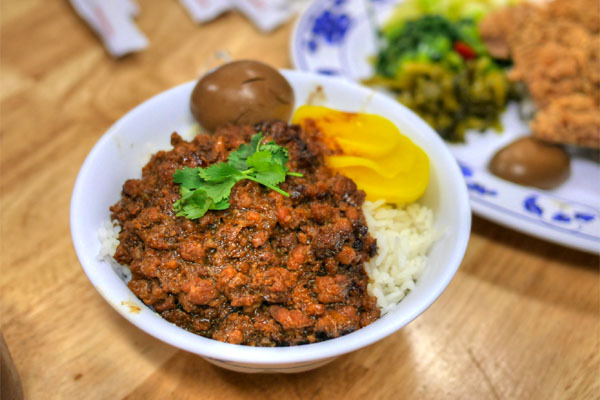 Old Country's lu rou fan was also a winner, the deep, savory, slightly sweet weight of the soy-marinated ground pork coming out utterly satisfying, especially when taken with the rice. Lovely pickles here as well, and another one of those great soy eggs. 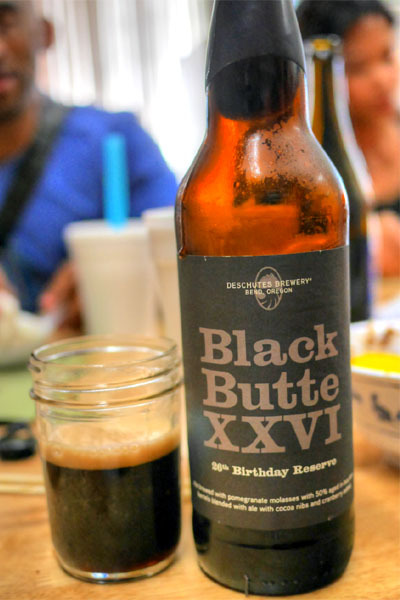 Moving into something heavier now, the 2014 Deschutes Black Butte XXVI was an imperial porter brewed with pomegranate molasses, cranberry, and cacao nibs, with 50% aged in bourbon barrels. I found it roasty and malty on the nose, and slightly sweet, while taste-wise, you got notes of chocolate, vanilla, roast, malt, and bourbon augmented by a palpable fruity character. We drank this earlier than recommended ("best after 6/13/15" on the bottle), so I'll be curious to see how this progresses with some age. The polarizing chou doufu followed, and indeed, was appropriately putrid, even driving away one of my dining companions from the table. 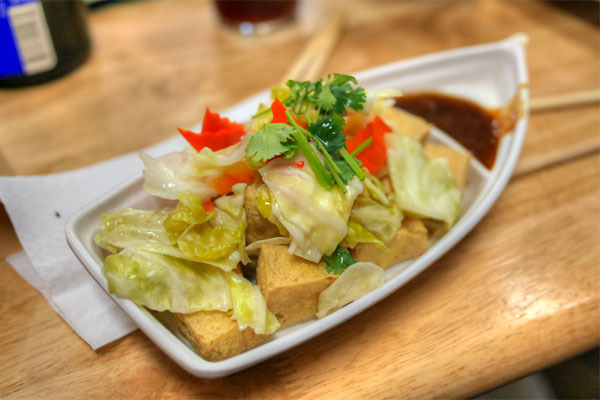 In terms of flavor though, the tofu was noticeably milder, and paired swimmingly with a dab of the included condiment and some shards of pickled veggie, both of which effectively moderated its funk. 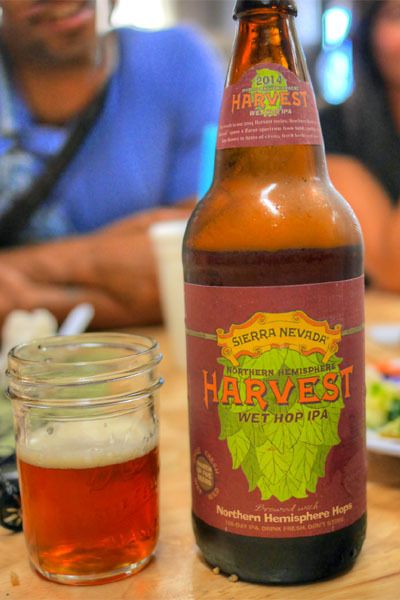 The classic 2014 Sierra Nevada Northern Hemisphere Harvest Wet Hop Ale followed, showcasing a balanced mix of sweet malt, juicy grapefruit, and hop bitterness. Very easy drinking. 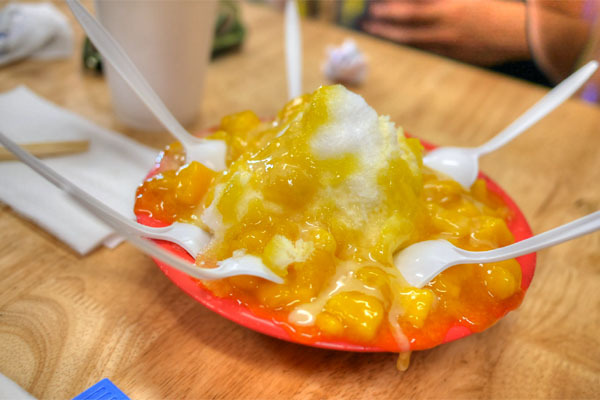 To close: not the prettiest mango-flavored baobing. 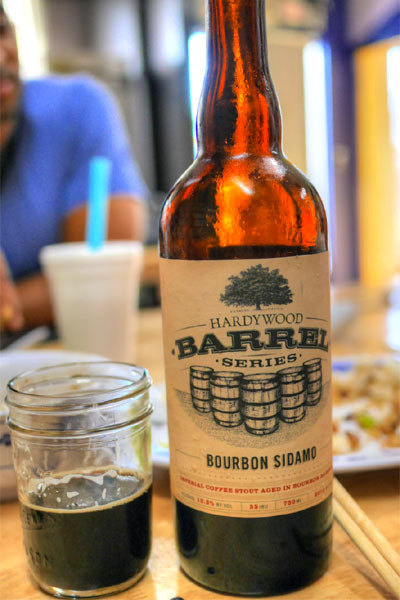 Our final beer veered dessert-y: the 2014 Hardywood Bourbon Sidamo Coffee Stout, aged for three months in bourbon barrels with Ethiopian Sidamo beans. Aroma-wise, you got your usual stout characteristics, though not too much coffee. The Sidamo was somewhat more apparent on the palate, making for an overall bittersweet-fruity experience joined by chocolate, roasty malt, and some bourbon barrel richness. 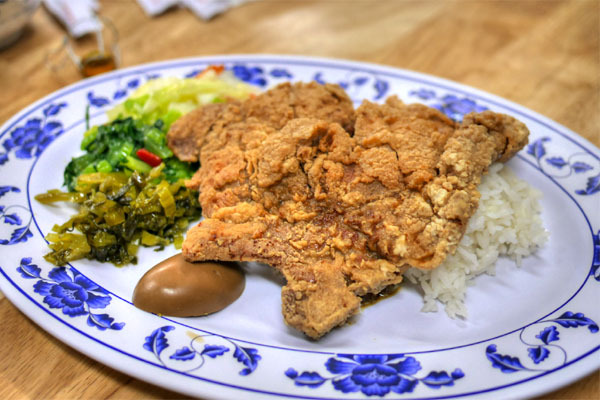 Old Country was a comfortable conclusion to our multi-stop lunch, serving simple-but-satisfying, home-y type fare that I quite enjoyed. I guess there's a reason why this place has been going strong for 29 years.